Here’s How You Can Visit Your Doctor While Sitting Comfortably On Your Couch! Does this sound too good to be true? Not anymore! If you’re tired of waiting for hours in line for an allergy, if you don’t want to sit in a germy waiting room for a sore throat and if you don’t want to pay a fortune for a visit, then your life is about to become a lot easier! 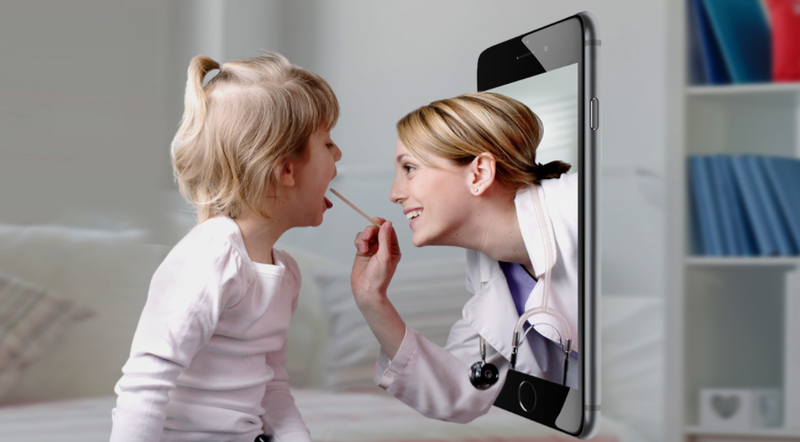 Discover Choices Family Medical Clinics E-Visits! Your Personal Online Doctor for only $50/visit! Now you can finally consult a professional doctor while sitting on your warm and cosy couch or your office desk in just a few clicks! No need to get up, drive to the doctor’s office, wait in line, sit in germy waiting rooms and pay half your pay-check! You can schedule an online visit and get professional consultation on non-critical symptoms, such as Nausea, Pink Eye, Sinus Symptoms, Sore Throat, Urinary Tract Infection, Vomiting, Yeast Infection, Allergy Symptoms, Bronchitis, Cold, Cough, Diarrhea, Dizziness, Earache and many many more! Just Click Here To Schedule An Online Visit NOW! Save Your Time! – Why waste your day driving around in traffic or waiting in line? With E-Visits you don’t even have to leave your desk or bed! It’s super-convenient, especially for parents with young children or elderly! Save Your Effort! – You don’t have to go through a maze-like process in order to book a visit! Just fill in the form and that’s it! Our staff will follow-up and walk you through the whole process! It’s as easy as 1, 2, 3! Save Your Hard-Earned Money! – Unlike other services that charge you $100+ for every visit, we wanted to offer you an affordable solution, so we offer you E-Visits at an amazing price! Only $50/visit! Special Offer Alert! New To E-Visits? Give It A Try & Win A $25 Amazon Gift Card When You Give Us A Service Review! You can have access to your doctor on-demand from any device! Even if you’re on vacation abroad, on a camping trip in the wilderness or stuck in traffic, you can use your laptop, tablet, iPad, iPhone or smartphone to get in touch with your doctor! What Are You Waiting For? Make Life For You, Your Children & Your Parents Easier Than Ever! Schedule An Online Visit Today & See For Yourself!